New product design contest on Desall.com: the O bag brand and Desall invite the international community to design the new version of the O bag, characterised by its minimal design, the unmistakable style and the many customisation possibilities. The O bag brand is looking for the design of the new edition of their iconic combinable bag consisting of several components – body, handles, trim, inner bag and other accessories of your choice – creating a modular, customisable product, with a democratic price and an unmistakable style. 1)	Body: the basic component of the O bag, realised with a single mould, shall be available in various colours – a feature that characterises the brand – and feature a clasping system for hosting the components described below (handles, trim, inner bag, accessories). You may decide whether to invent a new clasping system – also providing an adapter that enables you to host the already existing O bag components – or to exploit the clasping system already in use (see Material files ). The dimension of the body of your bag shall comply with the current model, that is width 39 cm, height 33 cm, depth 12 cm, with a possible variation of +/- 5%. In order to ensure a certain continuity with the current O bag model, the new body shall be designed so to stand by itself, when placed on a surface. 2)	Handles: your new O bag shall be equipped with handles fixed on the body through the clasping system of your choice. Given the great customisability of the bag, you are invited to propose one or more solutions choosing between short handles, long handles, shoulder straps, etc. with a wide variety of colours, in order to offer various colour combinations between the components of the bag. The basic configuration of the O bag consists of body and handles. 3)	Trim: you are invited to design a decorative trim, fixed on the body through the clasping system of your choice. It shall represent a further component for the bag customisation, available in various materials (fabric, jute, faux fur, etc.) and different colours, also with a view to seasonality: for ex. faux fur trim for the winter edition and linen trim for summer edition. At your discretion you can evaluate whether your trim may offer additional functionalities, besides fulfilling its decorative purpose. 4)	Inner bag: a component meant for organising the bag at best with pockets and dividers, available in a wide variety of colours and materials, it will be fixed on the body through the clasping system of your choice. As for the trim, also the inner bag shall be a detachable component, used at the client discretion, also with a view to seasonality. Currently the O bag inner bags feature a zip or coulisse closing – the proposals suggesting new closing modalities will be most welcome. 5)	Accessories: in addition to the components described above, you are invited to design accessories useful for customising or adding extra functionalities to your O bag. At your discretion you may also suggest the use of technological accessories, as long as they are not essential for the normal use of the bag but rather represent optional components one may choose during the customisation of the bag. For more information on the modularity and on the components of the current O bag please refer to the Material files. Materials: as a way to maintain continuity with the brand, the body of the new O bag shall be mainly made of XL EXTRALIGHT® material (even if not at 100%). By virtue of its own composition, the Ethylene-vinyl acetate (XL EXTRALIGHT®) allows to obtain different degrees of softness and thickness. You are nevertheless free to present alternative solutions to XL EXTRALIGHT®, provided they have industrialisation characteristics similar to the current material. Other materials you may use for the various components are recycled or industrial waste materials, ecological, natural materials or faux fur. The use of materials of animal origin – including leather, fur etc. – is not allowed. Logo: all your proposals shall feature on the body of the bag the O bag logo, available inside the Material files. The logo shall be realised on the mould. Production technologies: the O bag you suggest shall be realised with industrial production technologies. The total production cost of the product must fall in the range of 10-30 €. If you use the XL EXTRALIGHT® material, keep into consideration that due to its very conformation, it releases silicone material, which prevents the use of gluing, co-moulding or hot work processes. Product positioning on the market: your O bag shall be a platform product that thanks to its modularity can satisfy a wide range of users, from the mass segment, where it will be particularly competitive, to the premium segment, where it will be perceived as a great value-for-money product. Thanks to its modularity, the O bag shall offer a wide flexibility in the pricing according to the components selected by the client, starting from a basic configuration consisting of body and handles – that will represent a very accessible product – to more complex configurations, featuring trim, inner bag and other accessories, with a view to a scalable price. See the Material files for more information. Deliverables: upload all the images that better present your projects (rendering, descriptions, CAD files, etc.) showing in at least one slide the various components and the modularity of your proposal. You are also required to briefly describe the target group you are addressing with the various configurations, specifying for each configuration the element that gave you inspiration, the age group for which it was designed, the user typology of your target, the context of use and some descriptive keywords. If necessary, remember that you can also attach a .ZIP archive containing extra materials. Participation is free of charge and open to designers and creative talents of any nationality aged 18 years or older. Participants can present one or more projects, but only the projects published on the www.desall.com web site, via the upload page related to “O bag design award” will be accepted. 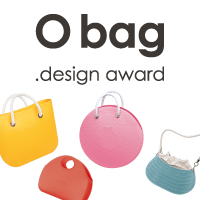 Do you want to stay updated about "O bag design award"?